Set in Strathyre in the Central Scotland region, Tigh Raineach features a garden. The cottage has garden views and is 20.5 miles from Stirling. 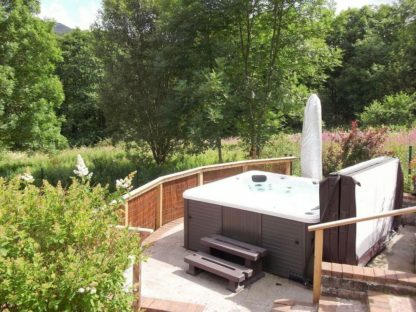 This cottage is equipped with a bathroom with a hot tub and a shower. The kitchen is fitted with an oven and a toaster. Falkirk is 30.4 miles from the cottage, while Crieff is 19.3 miles from the property. The nearest airport is Glasgow Airport, 31.7 miles from Tigh Raineach.